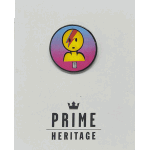 Prime pressed their first skateboards for the mass market in 1968, for brands like Madrid and Z Products (Z Boys), making them one of the earliest skateboard mass producers. Over the years Prime have manufactured boards for brands including Plan B, 101, Shorty's, Birdhouse, Flip, hookups and Baker, to name a few. To this day, Prime produce 100% handcrafted boards, by 100% skateboarders, and are still produced 100% in L.A.